In life sometimes you come across people whom you have formed a friendship with and whilst you have never met you get along famously. And then one day you meet and it is like you have never not known each other - well this special friend, her name is Elea. 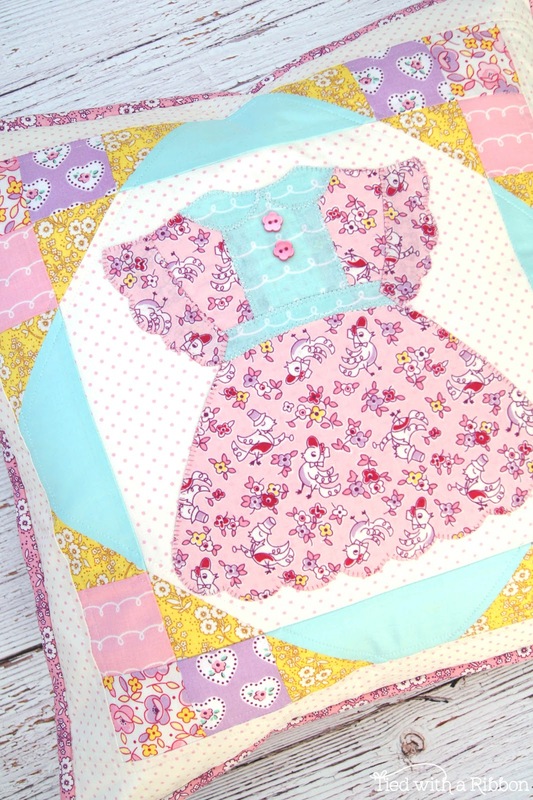 Elea Lutz is an enormously talented fabric designer, creative, and product designer. I have long been a big fan of Elea's fabric ranges and work and overtime she creates something new it is even better than the last. 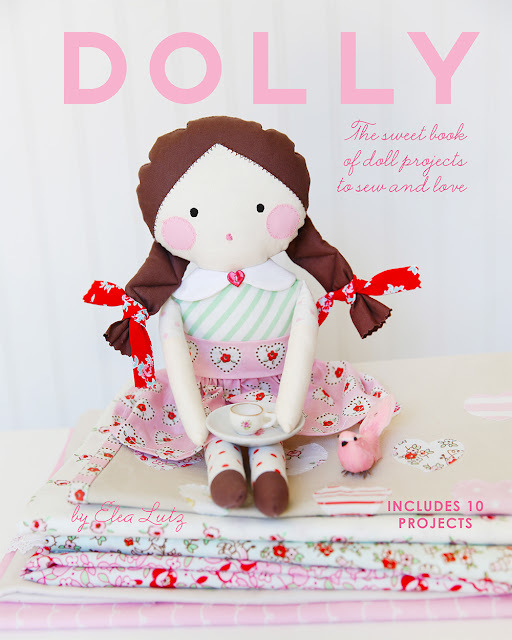 Elea's latest work is a new book called "Dolly - The sweet book of doll projects to sew and love". 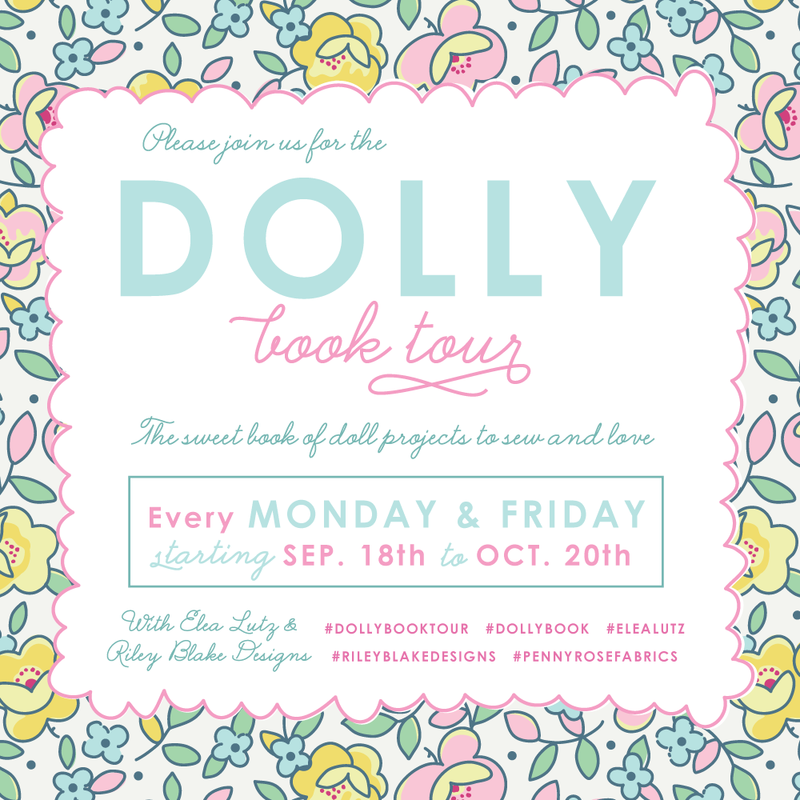 Dolly is published by Riley Blake Designs. Inspired by memories of her childhood, Elea has created these fantastic projects to take you back to those innocent days filled with playtime and fun. 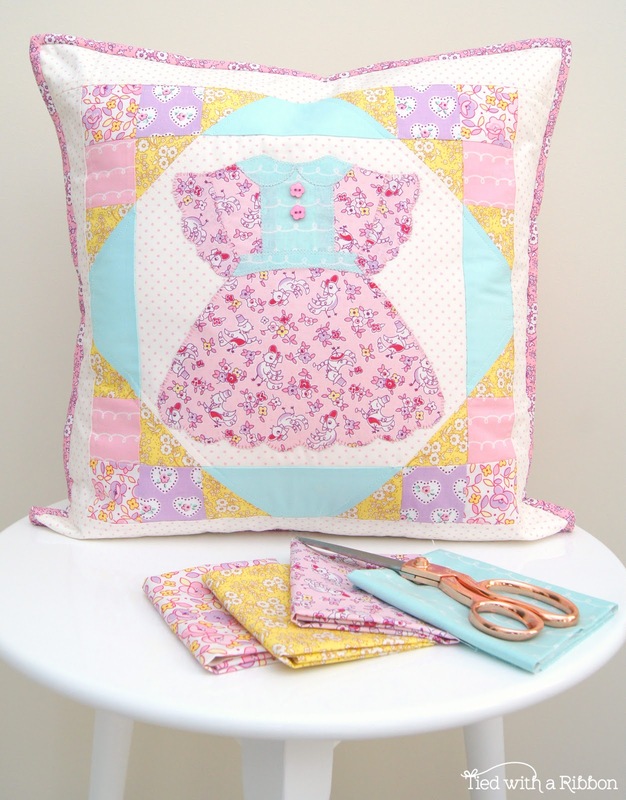 There are dolls to make, mini quilts, fun dress up dolls, accessories and the sweetest little Playhouse Tote. Beautifully laid out with easy to follow instructions this book will capture your heart. 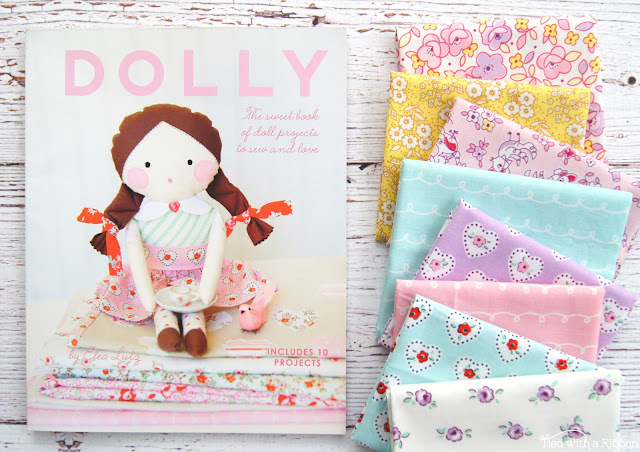 And here is Elea's latest fabric range - Little Dolly - how could I resist not using this to pair up with my chosen project from the book. I decided to make the Doll Dress Wall Hanging which is just ever so sweet. 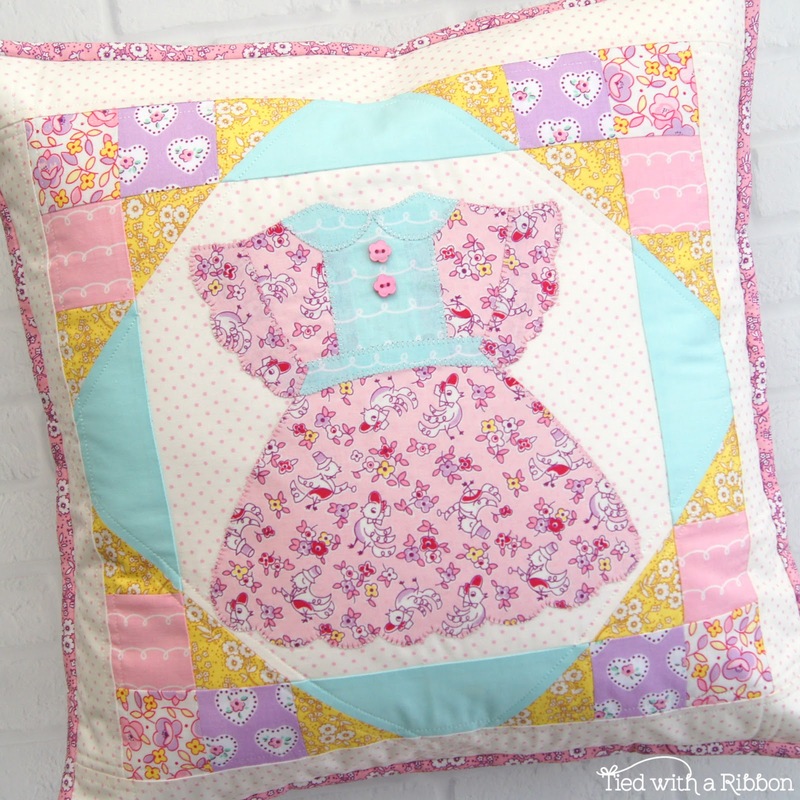 I love Appliqué so I was of course drawn straight away to this project. The book includes full size patterns which is fantastic so that you can get started straight away. 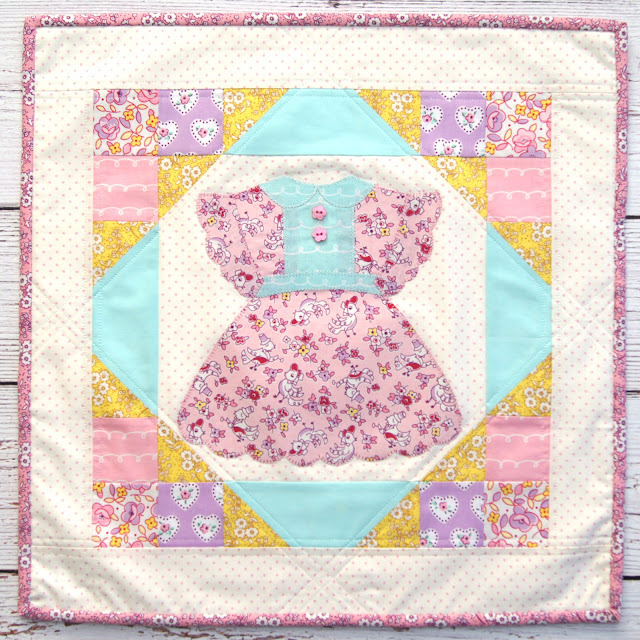 I also of course used my favourite Aurifil Thread and went with the Pink and Silver Brillo for the Appliqué and then the quilting. With Christmas on my mind I thought that this would make a beautiful gift for so I decided to add a simple Envelope Back to make it into a cushion. 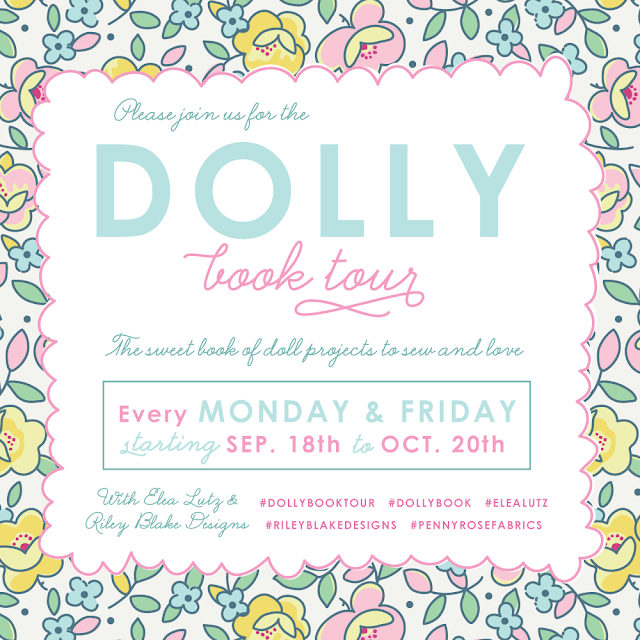 It will be hard to stop at one project in this book with several others that have caught my interest.